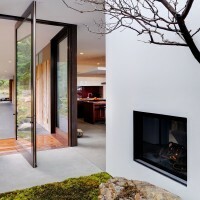 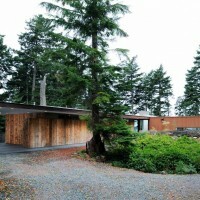 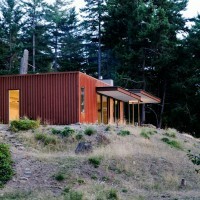 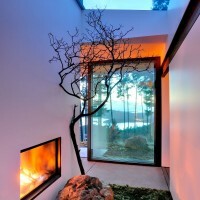 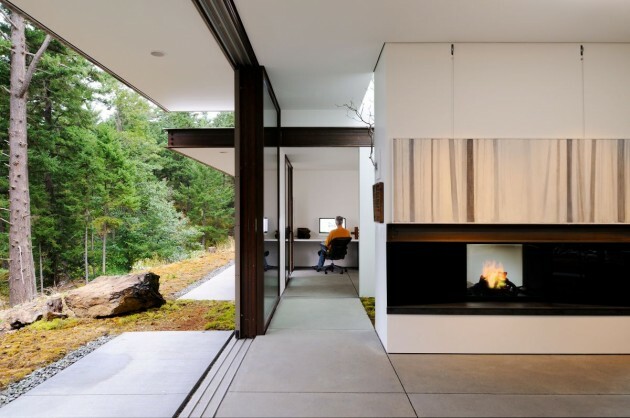 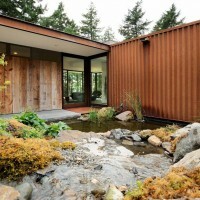 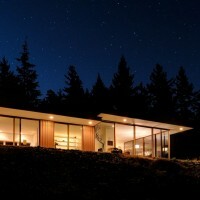 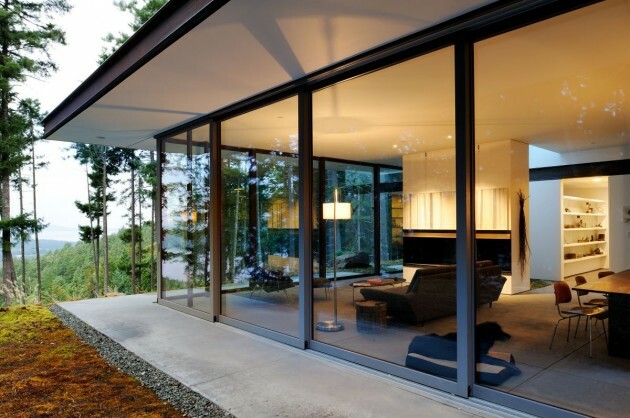 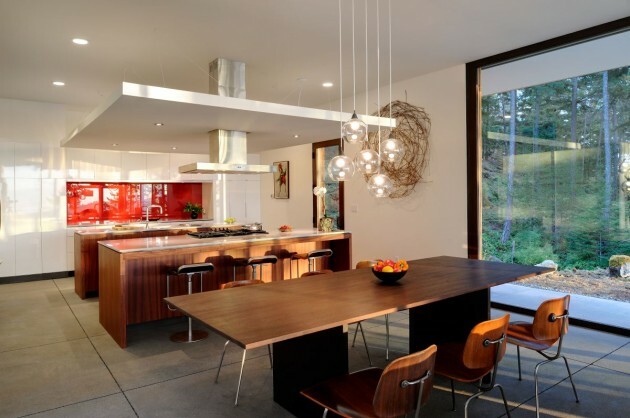 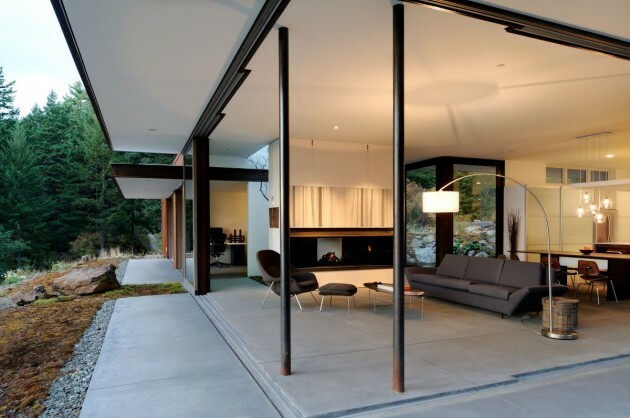 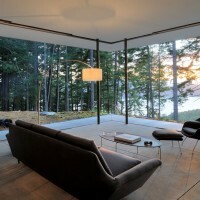 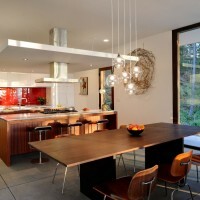 Gary Gladwish Architecture designed the Eagle Ridge residence, located on Orcas Island in Washington State. 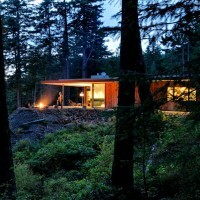 54 years ago she visited Orcas Island for the first time and decided that one day she would live there. 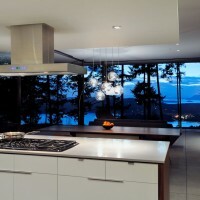 40 years passed before she saw it again and purchased a forested piece of land on a hillside populated with madrone trees, firs, beech, thistle, moss and rocks with magnificent views to the west. 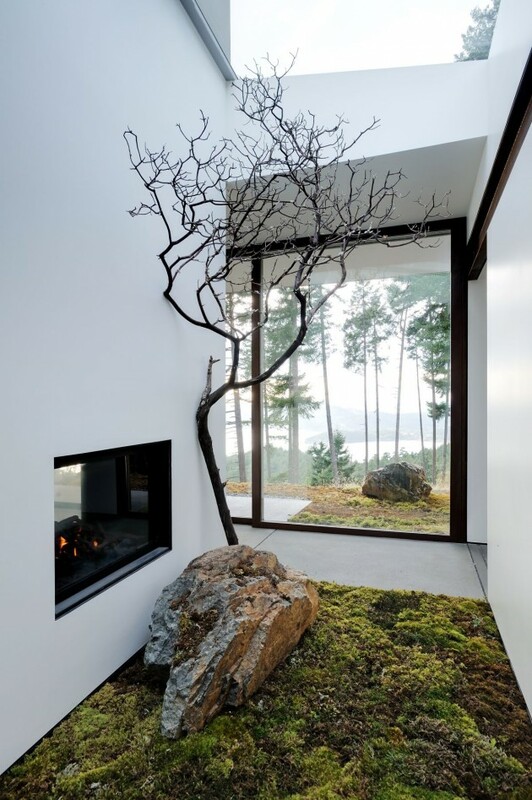 Throughout her life rocks, nature and landscape played an important role in her artwork. 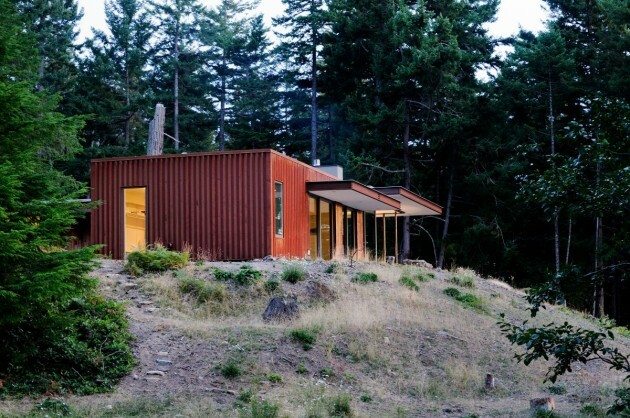 It was this attraction that convinced her that this was the perfect site for her. 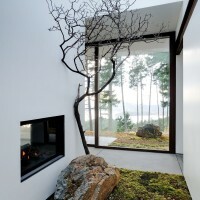 She requested an open, simple, low maintenance design which works with the site in such a way that her views of the island, forest and ledges were always present within the house. 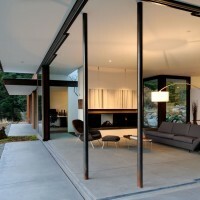 Each part of the house was to be designed to accommodate the inevitable bad hips, knees and back. 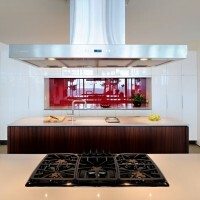 The program consists of a combined kitchen-dining-living area, study, master suite, art studio and storage area. 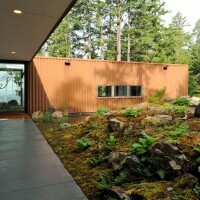 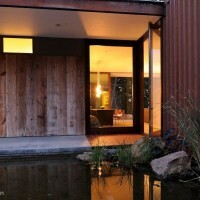 The solution utilizes some of her favorite materials; old barn wood, rusty steel, moss and rocks. 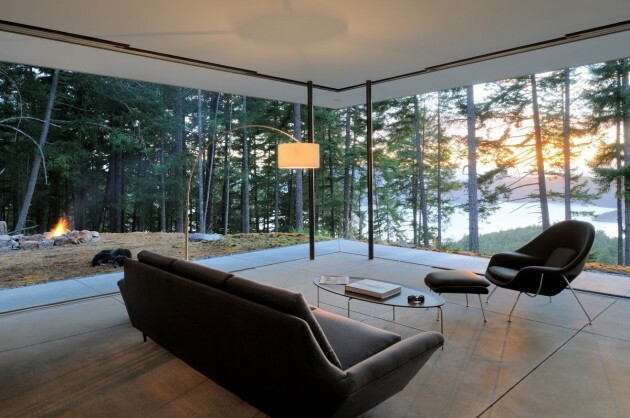 Large doors slide away to open the house to the expansive views, creating a living room in the woods. 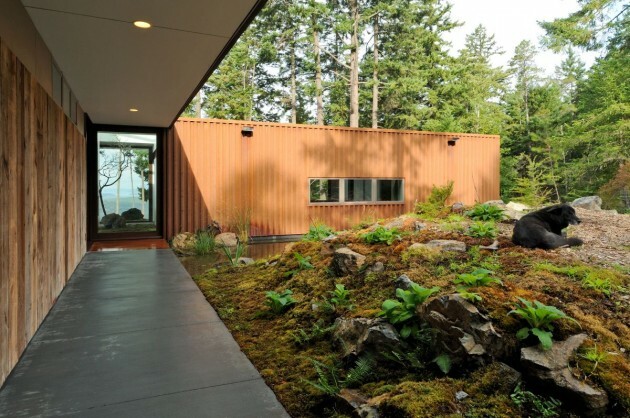 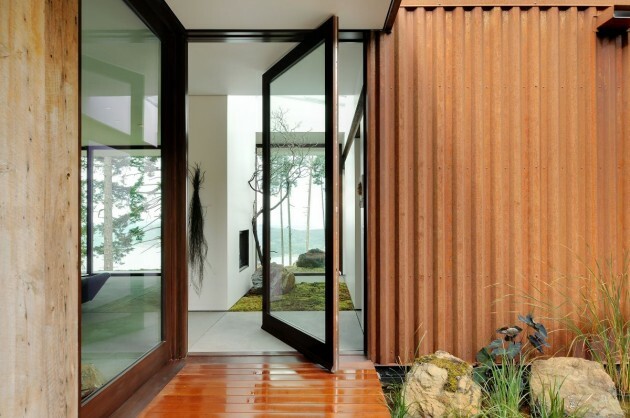 The entry garden bisects the house creating two zones while it carries the site and the eye out to the view. 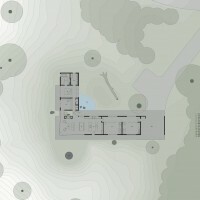 The 800 s.f. 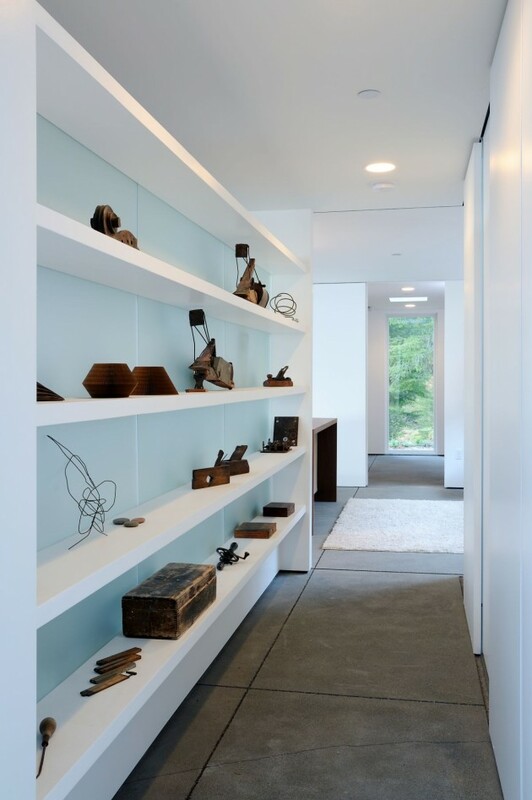 art studio and storage area are left raw to facilitate converting them to additional bedrooms at a later date.